Did I lose my "cool factor" because I just got super nerdy and excited about today's post? Nope because I was never cool in the first place! When I was brainstorming blog post ideas the other week, I thought of this one. opened my laptop and immediately started writing it. It's been saved in my drafts for a solid 2 weeks before I actually had Cody in town to finally take the pictures for me! 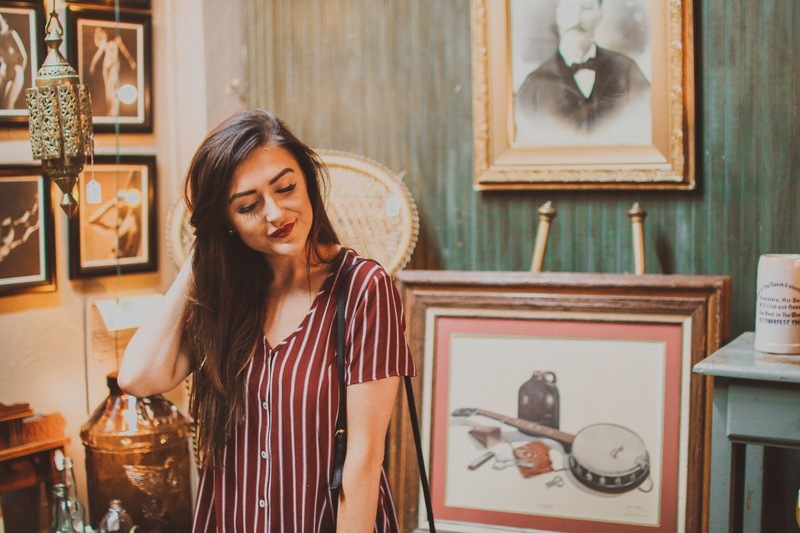 These pictures were taken at the Downtown Antique Mall in Nashville, not sure if it was allowed but here I am, living on the edge. I am no pro when it comes to antiquing but I did grow up in a house where antiques were a popular thing! My dad once drove from Kentucky to Arkansas to pick up a chair he bought on eBay that was the exact kind he had growing up (not the exact one obviously but he wanted it for sentimental reasons I guess.) My brother is also a big fan of antiques, it's one of the things him and I have in common. I'm sure it makes my mom proud to see my brother and I sending pictures of any items that the other might like when we are shopping to pick up for them. This week I picked up an Americana eagle lamp for him, it's pretty rad! Anyway, I wanted to share some of the tips I've acquired through my time fascinated with visiting antique malls. 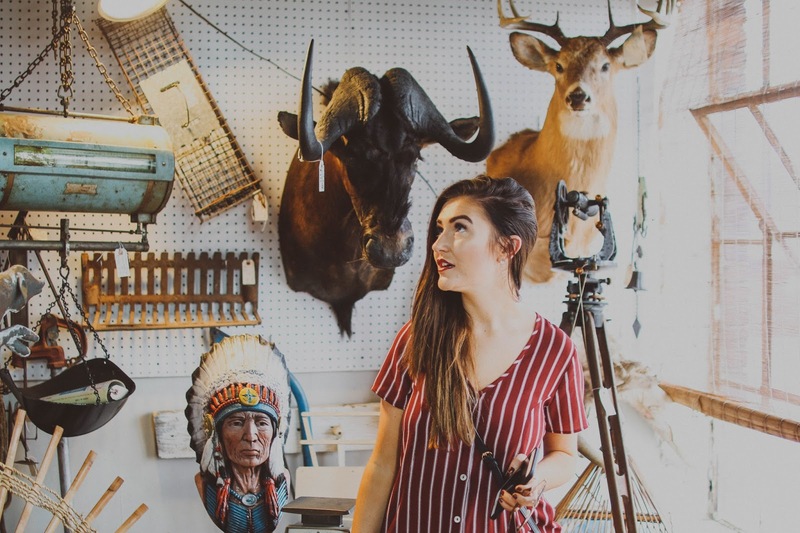 Keep your eyes peeled for a post all about my favorite Nashville antique malls soon! If you're interested in the outfit I am wearing, this dress is actually on sale from Show Me Your Mumu, I'm obsessed. You can also buy this dress in my favorite print this year, Southern Charm and a more Fall appropriate print. Shop the look here! 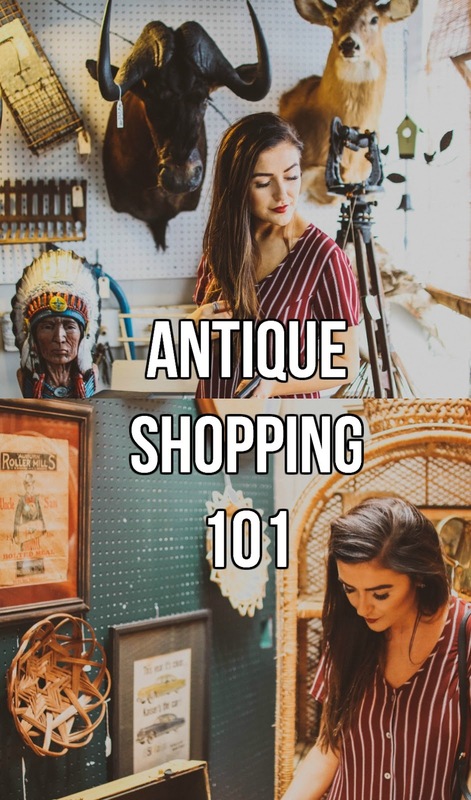 Often times, antique malls are in old buildings or warehouses and because of this, they probably have really weak air conditioning or circulation. In the summertime, the antique malls are super hot and have fans blasting everywhere and in the winter, it's stuffy. Be sure to dress appropriately to prepare for this. 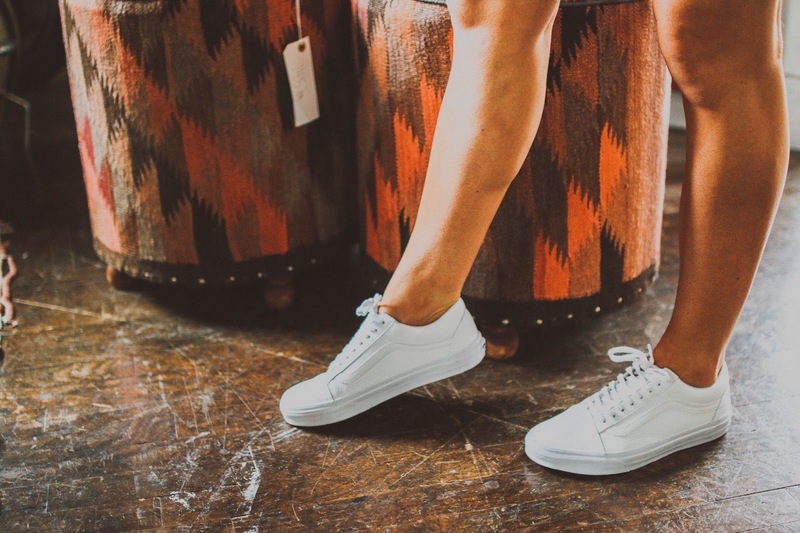 Wear comfortable shoes, you will be walking a lot and dress in layers incase it's too hot or too cold. When you walk in, check to see the payments accepted. When my friends were visiting from out of town, we went to the Downtown Antique Mall, my favorite antique mall in Nashville and when we were checking out, my friend pointed out they only accept card over a certain amount like $10. The dreamcatcher I was buying was $5 so my friend ended up adding it to her pile while I sent her money on venmo. Be prepared for places to not accept card! Cash is always accepted! Take pictures of certain items you like. Everytime I go to an antique mall I always take pictures of everything I like and the stall number so I know where it is, that way I can go see the rest of the mall before committing to one thing. Also you don't want to be hauling around stuff when you're still shopping! How adult do I sound for saying this? I now understand why they make cute, purse friendly measuring tapes... I want one now. If you're shopping for a larger antique or even art, it's good to know how big the antique is because a lot of places won't have the dimensions on the tag. Don't forget to measure the space you have in your apartment or house. Make sure it's in decent condition. What's the point of buying something if it can't be actually used? If it's semi damaged, make sure it's worth the price you may be paying for it. If it's not, continue the hunt! Don't settle. This is a big one that you cannot forget, you have to be patient. The first time I went antique shopping I had no idea what I was getting myself into. You're surrounded by junk. 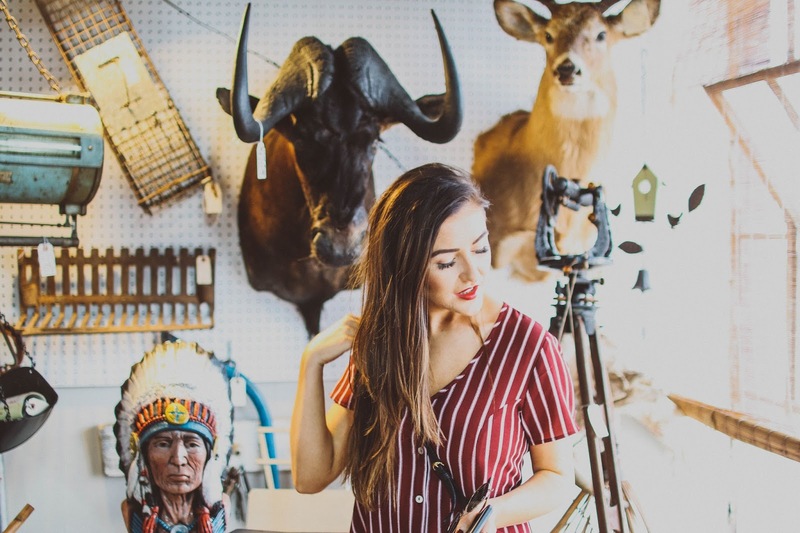 You have this idea of what you want in your head, but not every antique mall will be "your style." You're not going to walk into the mall and fall in love with the first thing you lay your eyes on, you have to dig for it. 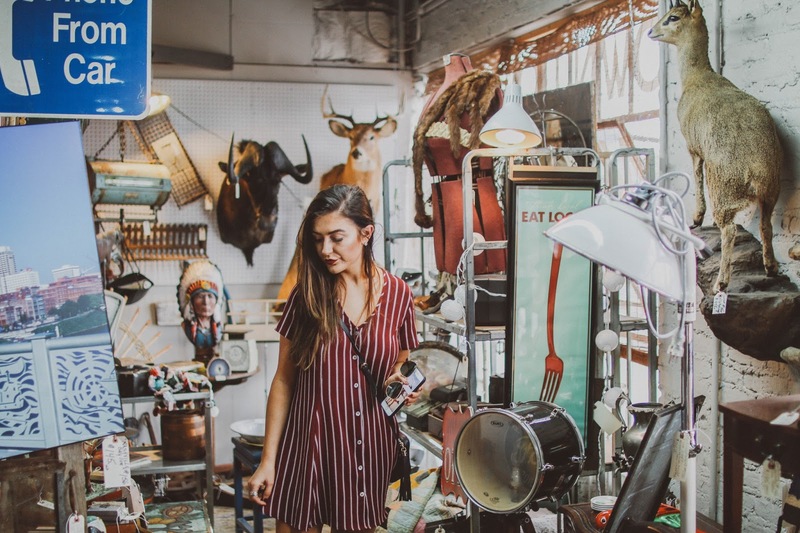 I always like to look at Yelp reviews of antique malls in the area, you can kind of gauge how much "junk" vs. antiques an antique mall will have based off the pictures. But also at the same time, don't judge a book by it's cover. On Sunday I went to a mall that was near me with Cody and it didn't have good reviews, sure enough, everything was more random clutter than actual antiques. I never mind digging for treasures but this was just a step far beyond cluttered. It's so easy to do. You think this is a once in a lifetime purchase because you found something you like at the antique mall, be sure you really love it and aren't just getting swept up in the hype because believe me, it even happens to me every single time I go antique shopping. I'm usually like "I'll never find anything like this again, I need it!" Odds are, it's not what you're looking for, you just got swept up. 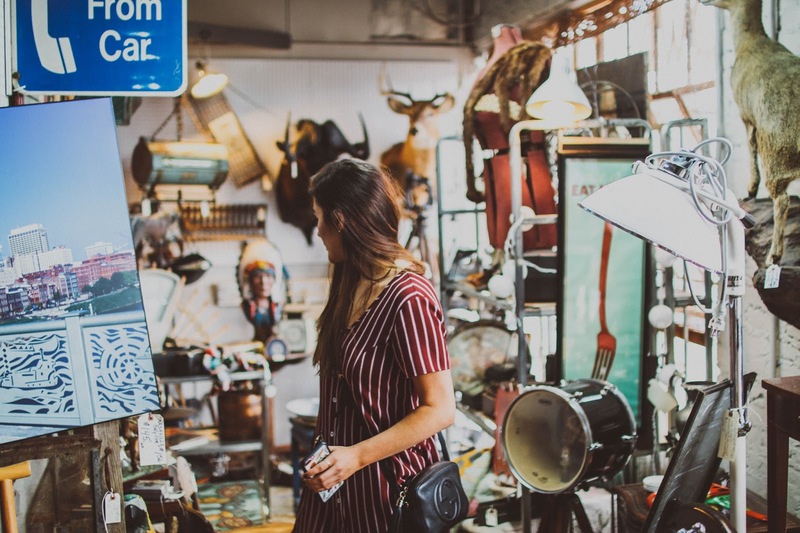 Certain areas are more well known for antique malls and because of this, lots of people flock to that are in search for the perfect antique. Retailers know this and will mark up the price because the demand is higher. New York City antiques are going to be way more expensive than Nashville antiques. It's just the way it is! One of the things I love about antique malls is when I find something that makes me go, "Oh my goodness, remember when ______ had this?" I sent a picture of these chairs that I was obsessed with at an antique mall a few weeks ago to my Mom and she was like, "Sarah, those are basically our old kitchen chairs." Maybe that's why I loved them... or maybe it's because they were boujie af leopard print kitchen chairs. I remember when I started to antique shop by myself and I would look at a price tag, expecting yard sale prices and realizing very quickly that I wasn't at a yard sale anymore. Some antiques can be much more than you expect! Thanks for reading! 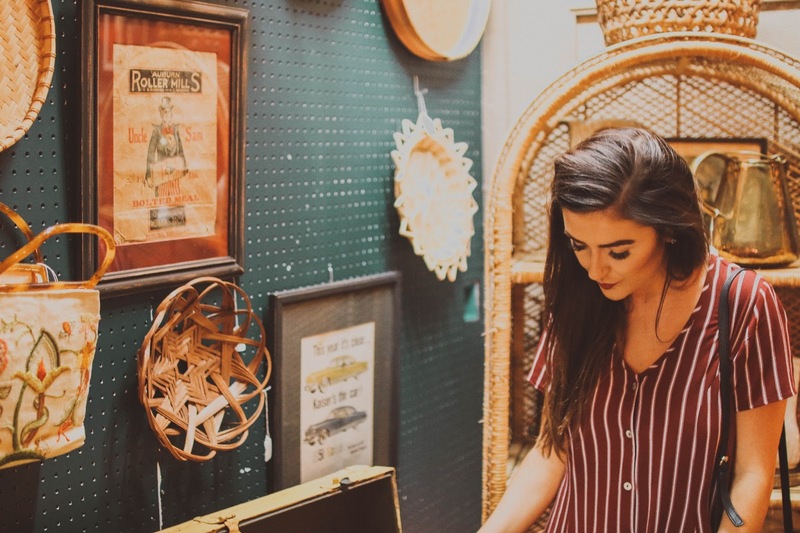 Coming soon will be my favorite antique malls in the Nashville area, so get excited! Great tips! I'm still on the hunt for a dining room set so this helped! I really want to start antique shopping after reading this lol. It makes a space look so much more unique! Both auction buyers and auction sellers must do their homework before the auction begins. Knowledge is paramount in the auction business. The goal is fairness to all participants best online auction software. There may be appropriation focuses in your territory for you to get the product.Emily Blunt Skin Cream Numerous sites give you a rebate on their products. With the virtual visit you will most likely pick the careful product that you need. At present, the heart shape is broadly utilized in gems plans. In the market, different pieces are structured in the state of heart,Sophia Loren Skin Care including studs, pendants, ornaments, arm ornaments, and rings and so forth.